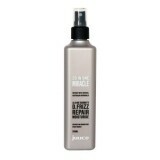 Tames all types of frizzy, coarse, unruly very dry – extremely dry hair with intensive smoothing agents to reduce volume. 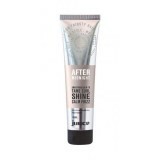 Contains ultimate cuticle smoothing properties to maintain smooth, silky soft hair. Anti-heat + UV + humidity + oxidation protection. 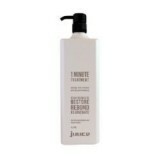 Juuce Miracle D.Frizz softens, detangles, nourishes and controls frizz for shiny, touchable hair ..
Juuce Miracle D.Frizz Conditioner softens, detangles, nourishes and controls frizz for shiny, tou..
EXPRESS CONDITIONING WITHOUT WATER and 10 instant benefits detangle, moist..
Juuce Miracle D.Frizz Conditioner softens, detangles, nourishes and controls frizz for shiny,..
REPAIR BONDING TREATMENT Moroccan lava clay treatment is an..
Juuce After Midnight 150ml LASTING CURL TAMER Humidity resistant cr.. 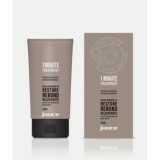 TREATMENT Intense hydration to restore and retain moisture with avocado oil an..
ALL IN ONE TREATMENT Twenty instant benefits all in one treatment enforced..